... check out the difference! 80 % of what I removed from this Ash tree was dead wood on the interior. This is typical of White Ash; they discard branches that no longer serve them photosynthetically. This is fine, except that it clutters the canopy, blocking light to viable leaves. It also increases the tree's vulnerability to breakage in storms by providing more surface area for ice and snow to collect on. This Ash needed only minimal reduction at the tips in order to encourage healthy, strong growth and a more compact form once the dead and broken branches were cleared out. 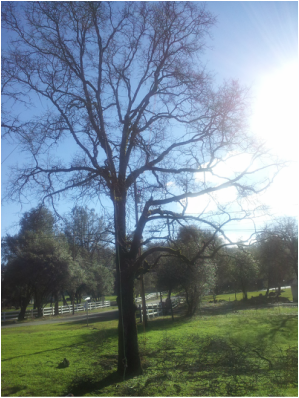 A Blue Oak near Penn Valley, CA before pruning. It's got a fairly substantial load of dead wood from 1/4" to 4" in diameter. Three major limbs are resting on the wires for the home's power and data, the canopy has become a bit elongated and vulnerable to breakage over time as well. The tree doesn't look too bad, it just has a few issue to straighten out. 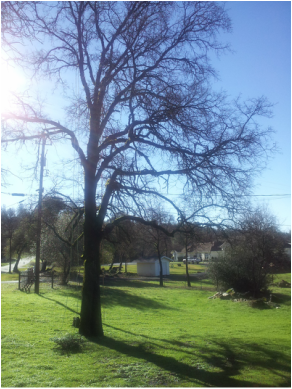 Blue Oak after pruning in partnership with Brian Bixler - Bixler Tree. This tree was raised above the home's power drop and data lines, pruned with an eye toward its future. Rather than shortening major leaders behind the wires, we raised the offending ends gently by taking 1/2 to 1 inch cuts out of the branch tips, clearing the conflicts and lightening limbs so the branches won't droop to the wires under foliar load. The crown received minor tip thinning to discourage competition among the various tops. 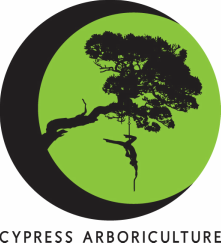 Longer limbs were reduced by thinning at the ends to lessen risk of breakage in storms. Deadwood was cleared out to encourage air flow, new interior leaf growth and a much cleaner appearance. Siberian/European Elms are generally regarded as "trash trees" by the general public and arborists alike. This Siberian was lanky over the home, had major dead wood encroaching on neighboring Ponderosas and was afflicted by heavy squirrel damage. It is a victim of bacterial wet-wood and was full of dense, suckery growth on its interior. Over the course of a 3 hour pruning, I reduced the branches that were prone to breakage, lessened the leverage acting on areas with wet-wood and worked with the tree until the homeowner was left with an aesthetically pleasing and safe Siberian Elm. 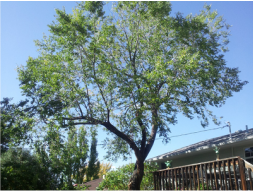 She reaps the benefits of summer shade - which reduces her utility bills and makes her back patio usable during the summer - the air-filtering capacity of a mature tree in Denver's notorious brown cloud and the increase in property value that comes with large trees on the property. She no longer has the anxiety of a tree that damages her shingles and stunts her pines, and doesn't need to worry about a big branch snapping in a late or early season snow storm. Not bad for 3 hours' work! What is bacterial wet wood? It's just like it sounds, a bacterial infection that causes weeping at the sites of wounds, usually in branch unions or at large cuts. It's visually a bit disturbing, with a brown to white residue that collects at the infection and a sometimes overpowering odor. General practice used to be installation of a drainage tube to dry out the infection, but evidence has since shown that drying out bacterial wet wood actually weakens the tree! Left to its own devices, a wet wood infection, while it is a hassle for the tree to deal with, doesn't amount to much more than an aesthetic concern. It's best treated holistically, by encouraging the tree's general health and vigor instead of by focusing on the symptoms of the infection. As in this case, forces on the site of the infection can be easily mitigated with structural pruning. While a mature tree may never eliminate the infection, it's not as big a problem as it looks (and smells). As with a good haircut, you can't tell a huge difference between the before and after photos of the tree, except that it now sports passage for air and light to get to the interior canopy, that the tips are lighter and the areas over the street have been raised to avoid nasty right-of-way fines from the City. I don't bid pruning "by the pound" of material removed, but based upon the tree's individual needs, no matter how minor or major those may be! This silver took something like 2.5 hours to do structure, minor restoration of storm damage and right of way clearing. Was there more material that could have been taken? Yes, but I prune based on what the tree needs, not on what will make it "look pruned." This one's a bit different. This Austrian had been hammered in the past by storms, losing its top multiple times. 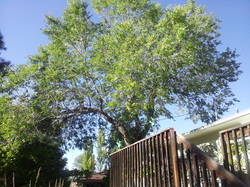 It had been aggressively pruned for breakage, and had cuts as large as 10" taken from the canopy. At this point, it was nearly laying on top of the home under regular foliar load, and sported several branches that drooped to the ground when they had snow on them. The interior canopy was choked with dead and broken branches anywhere from 1/4" to 6". Those dead bits blocked light and caused damage, discouraging new interior growth and pushing all the new foliage out to the branch tips. It's a beautiful Austrian Pine, but it really dominates its space and was in need of a good clearing and interior dead-wood cleaning. That's more like it! This tree, unlike its Silver Maple brother in the front yard, took over 5 hours to work through. The lower branches needed to be carefully cut with a chainsaw and lowered. I had to make some tough decisions in the tops, weighing the relative benefits of leaving foliage and removing co-dominant stems. In the end, this Austrian Pine is a much better tree to have over the house. Shade has been preserved, and potential for future storm breakage has been lessened. In fact, the canopy of this Pine is now a spacious, breezy place to watch the sun set over the Flatirons!